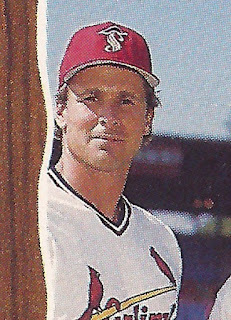 Rick Colbert hoped he was the guy moved up to AAA in May 1986, instead another catcher got the call, according to The Orlando Sentinel. Colbert chose to look at the positive, he told The Sentinel. His playing time at AA might increase. "In the big scheme of things, I really don't know what this move means," Colbert told The Sentinel. "At least now if I have a bad game, I know I will have a chance to redeem myself the next day." Colbert was already deep into his own career at that point. After starting at age 17 out of high school, that was his 10th pro campaign. His career ended up lasting 11 seasons. He never made the majors. Colbert's career began in 1977, taken by the Red Sox in the 13th round of the draft out of Joliet Catholic Academy in Illinois. Colbert played his first year at short-season Elmira. The catcher hit .181. He made single-A Winter Haven in 1979 and then AA Bristol in 1981. He picked up two hits in a July 1981 Bristol win. Overall that year, he hit .199. He returned to Bristol for 1982, then moved to the Astros system for 1983. He played that year between AA Columbus and AAA Tucson. He got 19 games at Tucson, hitting .254. Colbert exploded in one July game for Tucson, picking up four hits in consecutive at bats. Three of those hits were doubles. He also knocked in four, according to The Deseret News. Colbert stayed with the Astros at Columbus for 1984. He then moved to the Twins and AA Orlando mid-1985. 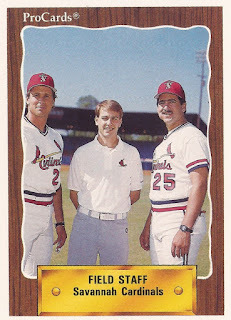 Colbert continued as a player through 1987, playing parts of his final two seasons with the Cardinals at AAA Louisville. Soon after his playing career was done, Colbert started a brief coaching and managerial career. 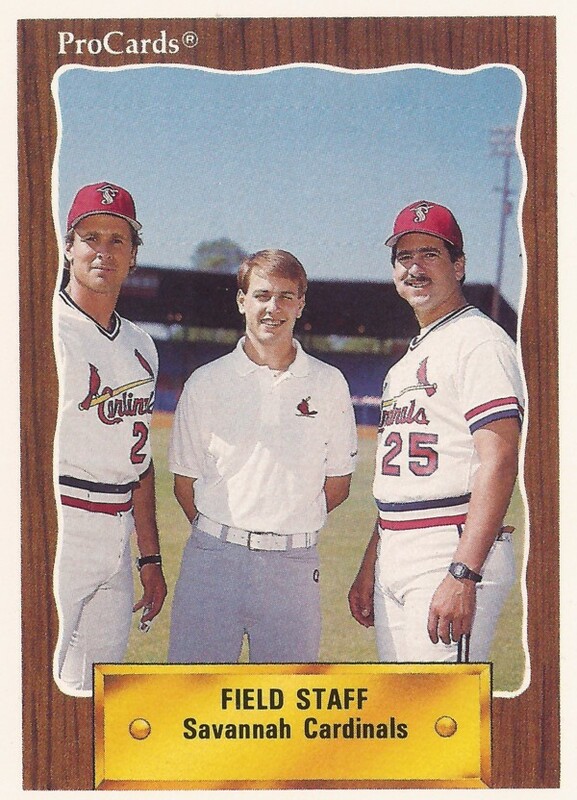 He coached 1989 at single-A Springfield, then managed 1990 at single-A Savannah. He then managed 1991 at short-season Hamilton and 1992 at Springfield. Colbert's Savannah club picked up an early win in 1990 and he was pleased with his team's effort, according to The Spartanburg Herald-Journal. "I did notice we were hitting the ball on the nose pretty good, but right at people," Colbert told The Herald-Journal. "I expected we would get some hits eventually, so I told the guys to be aggressive at the plate."